American actor, best remembered for his iconic role as Detective Columbo in the TV series Columbo. In film he had memorable roles in The Princess Bride, Wings of Desire and A Woman Under the Influence. In a 1981 article it mentioned that "Little did the 5-foot-8 Falk know that being short was a plus in the eyes of 5-foot-8 Shera [his wife]...'I always went out with short guys. They'd come over - and give me a look up - and they'd be very nice...as if they had to try harder because they were short'"
Never really looked full 5'6" in Columbo. Even shortish guest stars like 5'7" John Cassavetes looked tall next to him. I'd say Falk was more like 5'5" or 5'5.5". I'm looking a photo with my father around '68, he's 5-6. Leonard Nimoy had him by 6 on a Columbo early '73 episode, no lifts. Still can't figure out if Nimoy got caught in the end. I think it is quite obvious that he was 5'6 peak height and statistically he would have shrunk to about 5'3 in his 80s considering. Still iconic performances as Columbo that rival anything in TV syndication history. Probably about 5'7" in shoes. 5'8" in shoes means 5'9" and he's obviously not that tall in Columbo, as 5'9" isn't short just a little below average height. I wonder how much height his shoe gave if only 1 inch he was still 5ft6 at the age of 59. Editor Rob: ah, another example of link rot. I have the photo somewhere in my house, but would need a week to find it probably. You can never rely on links to other sites staying up indefinitely. Sites vanish, url structures change. I have tried to keep the same url's for stars so links from other sites to whatever page on this site won't end up dead links. peter falk did look 5.6 in the pilot episode of columbo,5.8 is too high for him. Hey Rob, add A Woman Under the Influence in the movies' list. I find it hard to believe he was as tall as 5ft6. I think his peak height was more like 5ft5, so I'll vote for halfway between the two heights - 5ft5.5, though later he must have been smaller! I still enjoy watching his 'Columbo' series now, decades after it was made! There are so many guest stars on it too, so I'm going to do some comparing and then I'll get back! Just one more thing. He was 5 foot 5.5. I saw him at a Laker game in the early 90's. He stood right beside me I even touched him. I'm 5'6" and was wearing platform boots and I towered over him. He was approximately 5'3". That's a great vid! Agree she is under 5'6"...I think both of them are, but man she rocks as a brunette! What a beauty! Correction: She's listed at 5-6.5 But I still think he was under 5-6. Needs a downgrade. I have a clip of a Columbo episode where Falk (age 51) is in shoes and Kim Cattral (age 22) is barefoot. At a couple points you can see her bare feet and his shoes. Kim Cattral is listed at 5'6" on this site. Falk barely edges her out in that scene...which makes him about a good half inch shorterthan Kim Cattral if he were barefoot. Looks 5 ft 6.25 at times? Potentially needs an upgrade? He was brilliant as Lt.Columbo. One of the greatest shows ever. He was slauching all the time with a very bad posture (probably exaggerated in the Columbo character), which made him look much shorter than he actually was. LOVE THIS GUY. HE NEVER HAD TO LOOK TALL TO MAKE A BIG IMPRESSION ON SCREEN. peak 5'8". Columbo was one of the best crime fiction television film series of all time. RIP Peter Falk. Robert Conrad was never 5'8" (173), he was 5'6" (168), just like Peter Falk. Also, Falk was the same height as 5'6" Bruno Ganz in Wings of Desire. R.I.P. Peter. A rare case of a guy who showed himself shorter than he was. 171 in his prime, not 168. In the 70's everybody used heels, Falk as Columbo didn't and he was in the same height league of Robert Conrad (listed 1.73) in one chapter. R.I.P Peter,thanks for the great entertainment. He probably looks shorter than what he really is because he has short legs with a big head and upper body. a weak 5'6. The women always seem taller than him and even with heels should not be 2 inches taller. 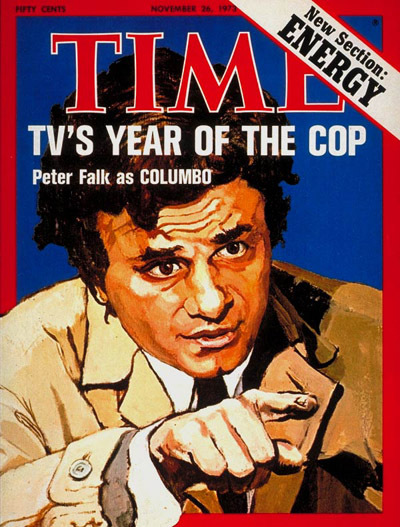 Peter Falk is a great in Columbo! btw he looks like 5'7"
He's about 80 now..so, nothing well in his 60s..
A better picture of the two, standing next to each other. Falk with Bruno Ganz in Wenders' "Wings of Desire". Ganz is usually described as being 5'6". Falk still looked 5'6 next to 6'2" Paul O grady yesterday, he did look shorter in Columbo, but that was due to the slouch. In other stuff he's done he has always looked 5'6", 5'6.5" region. I don't think he has lost much height, which isn't too bad for a guy who's 80 this year. WHAT A JOKE!!! Falk was never 5'9" no matter what some stupid Cigar magazine claims. Come on ROB DON'T TELL ME THAT YOU belive this crap! The guy is clearly 5'6" and nowadays probably shorter. Falk is 5'4" tall now.